As good as Dr. Dre was in his prime and as innovative as Kanye is now, it's hard to form an argument against DJ Premier's place as the greatest producer of all time. Premier, who samples primarily jazz, soul and funk songs, is known for his scratches that include samples of some of the best (and most obscure) lyrics from hip hop lore. He has production credits on many of the holy texts of the genre. From Nasty Nas' Illmatic and Jay's Reasonable Doubt to recent album such as Royce Da 5'9"'s Street Hop, Premier has consistently been the producer that the best lyricists (who can afford it) go to when they need a classic sound. This song comes off the much slept on Group Home debut, Livin' Proof, an album that features some of Premier's best work (it's no coincidence that this song has a similar sound to many Illmatic tracks). 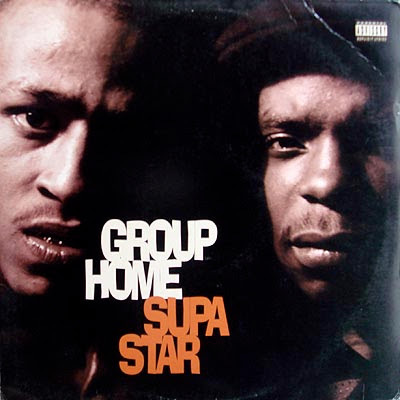 As for Group Home, they're a hidden gem of golden age New York hip hop. They've only released two additional albums since their '95 debut, but Livin' Proof is well put together from top to bottom. "Supa Star" is the group's best known song and represents yet another DJ Premier classic. Enjoy.